At the EICMA show last year, BMW Motorrad announced that it would make another air-cooled model, in order to commemorate the 90 years that the German OEM has been producing two-wheelers. Expected to be the production version of the company’s LoRider concept, we got our first taste of what BMW had in store for us with the BMW Concept Ninety — which had its retro goodness co-developed with America’s own Roland Sands. Now seemingly ready for a true production model, BMW Motorrad has been caught testing the BMW NineT street bike inside the Lake Garda region in Italy. Obviously fitted with the venerable 1,200cc air-cooled boxer twin that has made the GS and RT such steady steeds, the NineT uses classic motorcycle aesthetics, mated to classic BMW design pieces. Shaft-driven and fitted with telescopic forks, the full retro effect is a bit intriguing on the BMW NineT. 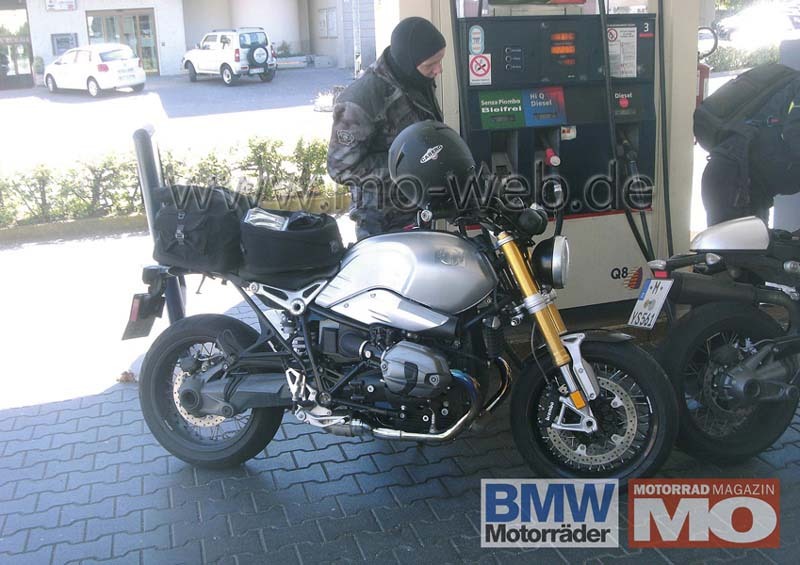 From what we can see in these photos, the bike fits the silhouette quite well from BMW’s announcement last year, with its long fuel tank and cafe racer style tail. The aesthetic gets a bit confused with the bulky shaft drive, but we think the model will strike a chord for riders looking for an uncluttered street-naked from the German marque. Further details are light at this point, but BMW is expected to release more information by mid-October, and we certainly will have a better glimpse of the machine at the 2013 EICMA show.